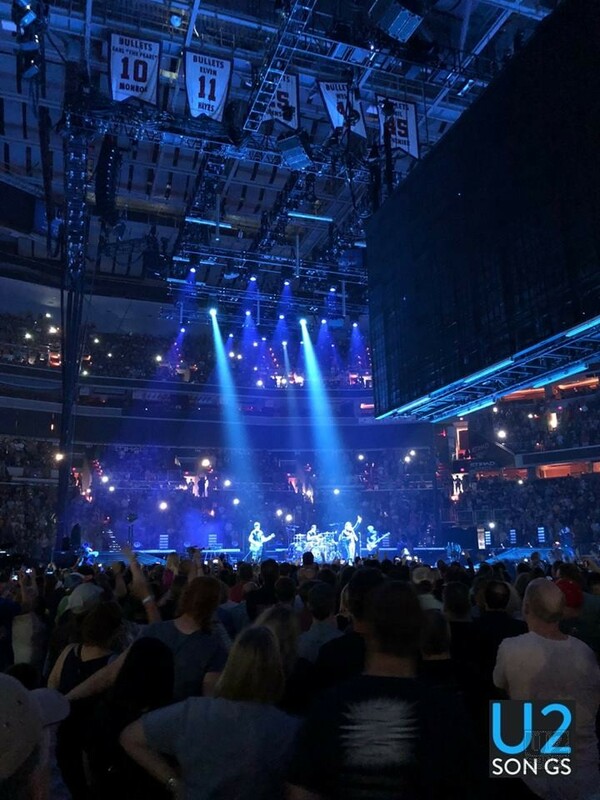 On June 17 and 18, 2018, U2 performed two shows in Washington DC on the #U2eiTour, the shows being held at the Capital One Arena. 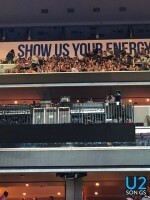 The shows featured a typical set list for both shows, with “Gloria” being performed the first night, and “All Because of You” being performed the second. We asked a PR representative for the band, but they were unable to confirm for what the filming would be used for. It is expected, however, that the footage may be used for a home video release from the tour. Hamish Hamilton, was present for the filming. Hamilton has worked with U2 as a director for a number of projects for U2 over the years. It was Hamilton who directed the home video releases for Elevation (Both Boston and Slane), and Vertigo (Milan and Chicago), He was also the director for the 2015 concert film from Paris which was filmed on the same stage as the current tour. 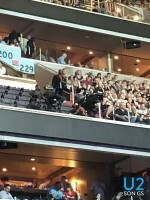 Camera crews were on hand both nights in Washington DC. 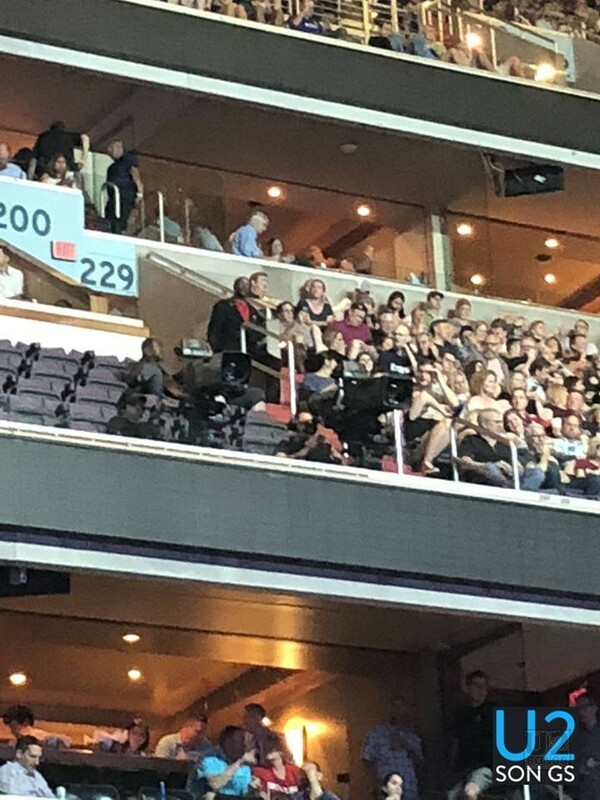 This involved cameras in the soundboard, around the arena, two large cameras (one in each Red Zone) and a number of hand held cameras throughout the GA floor. Additionally a camera was set up next to the VIP riser on The Edge’s side of the venue on the first night. 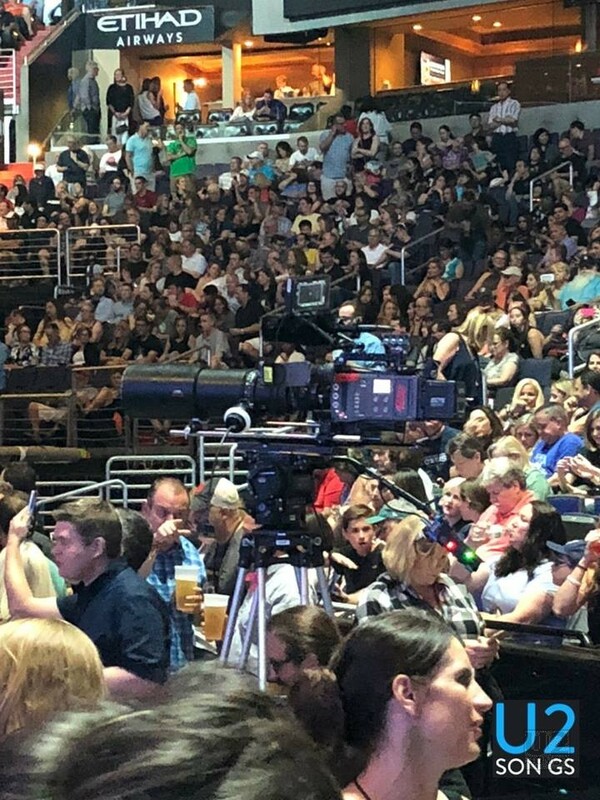 On the second night this camera was set up on Adam’s side of the venue instead at about the same position. Fans attending both shows have commented on how empty the GA Admission floor was for both nights of the filming, although there was a demand for these tickets. 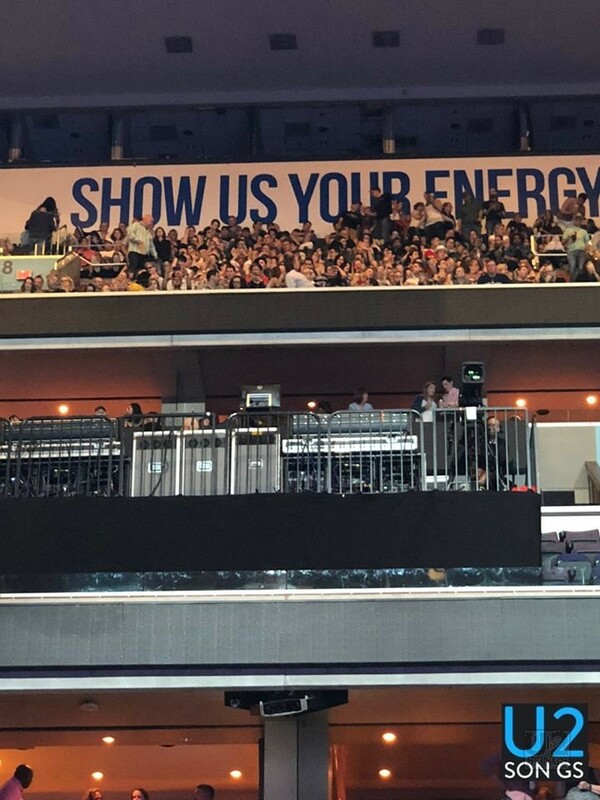 It is theorized that the number of fans on the floor were kept to a lower number to allow easier camera access on the floor both nights. 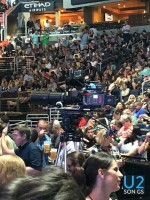 A film camera was also used in at least one location on the second night, and attendees to the show report that the crew was seen reloading the camera with film a number of times. 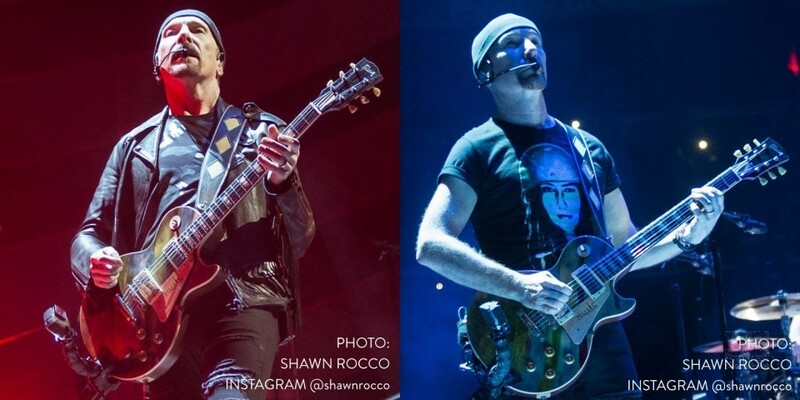 For the latter part of The Edge was also seen to have a “GoPro” style camera attached to his guitar which appeared to be filming his hands while he performed. This camera was present for multiple songs. 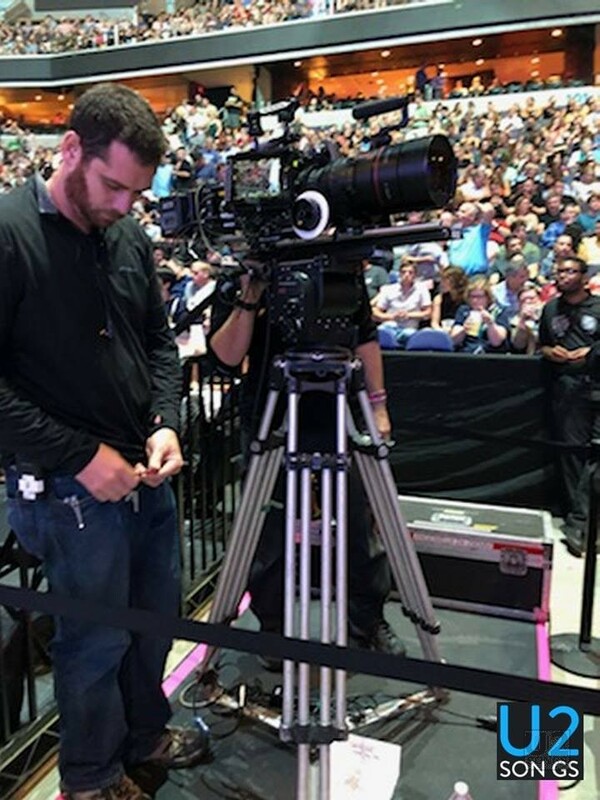 Also at the end of the night during the second show in Washington DC, an extremely heavy camera was set up on the E-stage where it meets the ramp, pointing towards Bono as he performed “One”. Two people were seen manning this camera. The screens were dark with no content while this camera was filming towards the main stage. U2’s last tour, The Joshua Tree 2017 has also been filmed but not yet released. That tour saw concerts in Mexico City and throughout South America filmed for release. Anton Corbijn, a long time associate and collaborator with U2 was directing that project. Our friends at U2Tour.de recently reported that Corbijn had spoken about an upcoming U2 film with a German newspaper where it was suggested it may be a tour documentary. Over at U2Achtung.Com they’ve recently mentioned rumours that The Joshua Tree 2017 film would be out around Christmastime of this year, and we can confirm we have been told by reputable sources that it is likely that the film release will happen in late November 2018. If a Joshua Tree 2017 film is planned for this fall, it is likely that any film of the eXPERIENCE and iNNOCENCE tour would be held for release at a later date. The eXPERIENCE and iNNOCENCE tour is currently scheduled to go until early November 2018. Information is still scattered about what exactly has been filmed, or why. We do know Hamish Hamilton was involved, but he has also been involved in shooting material for non-home video releases in the past. And just because U2 films a show, does not mean that it will be released. In 1997, three concerts were filmed, including Edmonton, Rotterdam and Mexico City. Only the final show was released to home video, while the other material was used for promotional footage. More recently filming notices were up at a concert in Amsterdam on the 2017 tour, however, in this case the band was filming a promotional video, and not a full release, but that footage has never been released. Many thanks to Jason, Bijan, Shawn, David and Alison for their assistance with this article.